HomeCare was founded in 1959 as a vacuum bag manufacturer. In addition to making vacuum bags designed to fit each manufacturer’s vacuum machine, HomeCare became a leader and innovator in the industry. 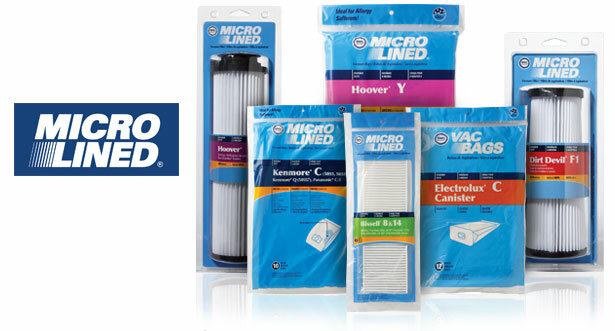 Consistent with HomeCare’s Mission to make products for clean AND healthy homes, HomeCare has set new standards of performance for filtration efficiency and allergen control with innovations like the Micro-Liner® micro-filtration bags and the Clean-Seal® Closure Collar. 3. HEPA (High Efficiency Particulate Arresting filtration efficiency) filtration material or media filters 99.97% of particles 0.3 microns in size. HEPA vacuum bags are the highest filtration level and capture 99.97% of particles down to 0.3 microns and provide enhanced protection from mold, pet dander, dust mite debris and pollen. Periodically replacing your vacuum’s filter helps ensure your vacuum machine’s original performance and durability and, therefore, the cleanliness and health of your home. 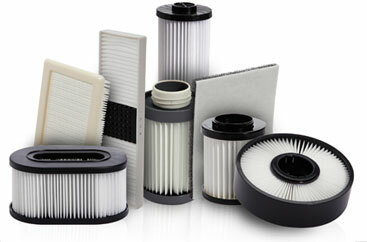 Typically, vacuum filters should be replaced at least every six months. The main reasons for a vacuum filter are to prevent dust and debris from entering the motor and also to stop any material from being exhausted back into the air. Too often people think that their machine is no longer working properly when in reality the filter is so dirty that the vacuum machine’s performance has been severely compromised and its airflow has been restricted. The result is that you will not only notice a decrease in suction but it will also cause the motor to run at a higher temperature impacting durability. In addition, since particles have nowhere to go, they get released back into your room impacting cleanliness and possibly your family’s health. By frequently replacing the filter, your vacuum cleaner motor will run cooler and last longer and keep your home clean and healthy. HomeCare is one of the largest suppliers and manufacturers of vacuum filters in North America and make them for almost every manufacturer’s vacuum machines, both bag and bagless machines. The filters are sold under several different brand names and at many retail outlets throughout the U.S. and Canada. 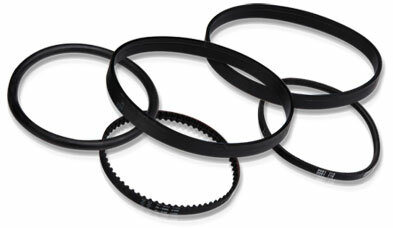 Vacuum cleaner belts are a critical part of a vacuum’s efficient operation. Their purpose is to drive the “sweep brush.” Studies have shown that the “agitation” from the sweep roller in loosening deep down particles, which in turn enables them to be “sucked” into the vacuum so they are permanently removed from the carpet, represents 70% of the vacuum’s effectiveness. There are many varieties and sizes of belts to fit numerous vacuum brands and models manufactured. The three types of belts are round, flat and cogged. Vacuum machine manufacturers generally design the machine with a specific style of belt to work with their choice of motor. Importantly, we are one of the largest suppliers of vacuum belts in North America and provide them to almost every manufacturer’s vacuum machines. The belts are sold under several different brand names and at many retail outlets throughout the U.S. and Canada.